SEOUL, South Korea -- Facilities built throughout the Army before the 1980s often contain asbestos in one form or another. Asbestos was commonly used due to its resistance to fire, heat, electrical and chemical damage and its sound absorption and affordability. However, as everyone has learned, asbestos can cause lung disease. At U.S. Army Garrison Yongsan, its safe removal and encapsulation is regulated by local laws and Army regulations. USAG Yongsan faces challenges similar to those in continental U.S. facilities. Common areas where asbestos is found include pipe insulation, flooring, roofing, and transite fascia and soffit boards. In response, the Yongsan directorate of public works in-house asbestos removal team goes to work. Although the long-term plan is to downsize USAG Yongsan as many of the units move to USAG Humphreys, many projects at Yongsan still require maintenance, renovation or demolition work to keep the mission "Fight Tonight" going. The public works asbestos removal team consists of a local, nationally trained force of seven individuals, including team supervisors who have full-time jobs during the day and volunteer to work overtime in the evenings and on weekends to remove asbestos. The team's occupational background is diverse. Some members are carpenters, plumbers and electricians by trade, and others have graduate degrees in environmental engineering and environmental sciences. USAG Yongsan environmental protection specialist Pak, Mun Kyu, is the team's program manager. Pak is passionate about this team and its success. His mentor, Na, Chong Pok, was the founder of the team in 2001. Pak is one of the early members of the team and helped organize this critical mission-support function. He coordinates projects within the DPW and ensures that all volunteer team members are trained, medically examined, and respiratory-fit tested annually in accordance with the U.S. Forces Korea Environmental Governing Standards. Ever since the establishment of the asbestos removal team, members have been properly trained to remove asbestos in small- to medium-level abatement projects. The team strives to conduct the work in a safe and effective manner. In addition to its training, the team uses data collected from asbestos surveys to ensure that, if a project is likely to encounter asbestos, the team will be ready to identify and remove it in the early stages of DPW projects. The team's effort has not gone unnoticed. Before the team's formation, asbestos removal was executed through a local environmental contract. This outsourcing added time and cost to a project. 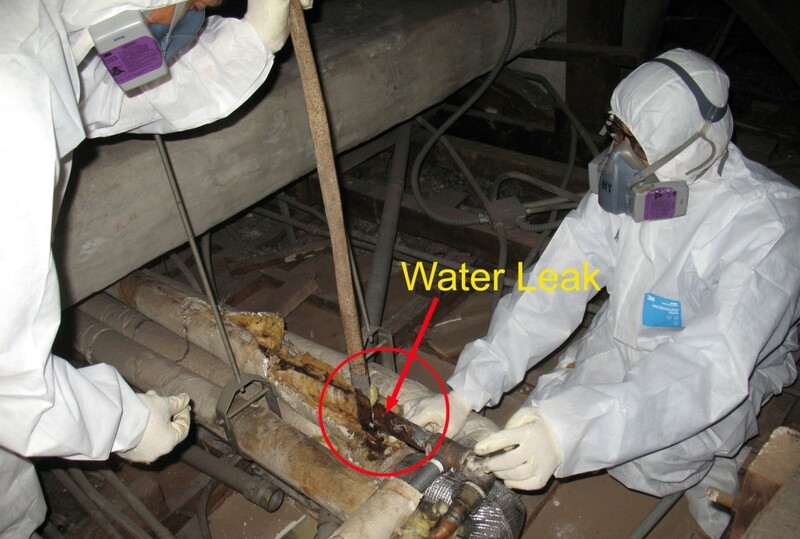 Since the in-house team began in 2001, USAG Yongsan has saved more than $3.2 million and reduced the asbestos-removal requirement from 30 to 60 days per project to less than a week, when compared to contracting out the work. A majority of the asbestos abatement projects are in Army Family housing, so the accelerated turnaround time lessens the impact and inconvenience to Army families. Cost savings and avoidance as well as accelerating projects allow the DPW to do more and spend funds on projects that improve the quality of life for Soldiers and Families in these resource-constrained times. Through this team's dedicated efforts, USAG Yongsan is able to deliver timely and cost-effective asbestos abatement work, ultimately providing a safer environment and peace of mind for its community members. James C. Hamilton III is director of public works at USAG Yongsan, and Scott Weber is chief of the garrison's environmental division.